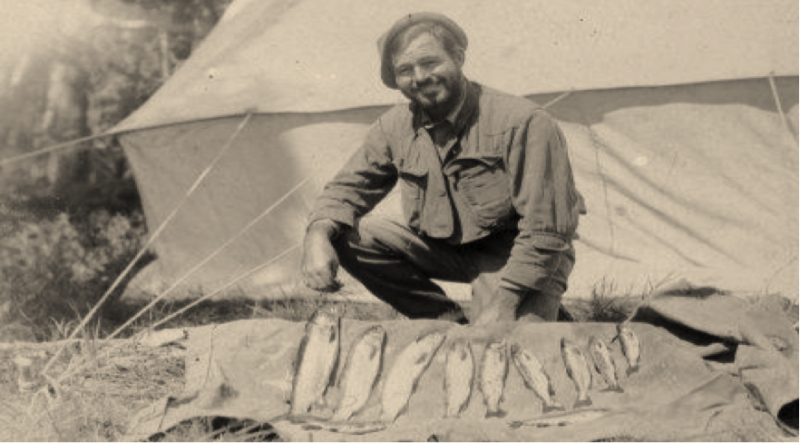 The 2020 International Hemingway Conference provides both new scholarship and an opportunity to experience and explore Hemingway’s Rocky Mountain West. There will be two venues: Sheridan College, Sheridan, Wyoming (July 19-22) and Cooke City, Montana (July 24-26.) Thursday, July 23 will be a travel day with a chance to visit the Buffalo Bill Center of the West in Cody. Hemingway arrived by Model-T in Sheridan in 1928 shortly after the birth of his son, Patrick. He left wife and child in search of a quiet place to finish writing A Farewell to Arms. His first stop, the Folly Ranch proved too full of distractions. He fared little better on the third floor of the Sheridan Inn. Finally, in a cabin in the Big Horns he found the place he was looking for. Places to visit. Places to explore. He went West again in 1930 and travelled across Wyoming to the L-T ranch just outside Cooke City, Montana. It was then, and still is, wild country—spectacularly beautiful, a bit intimidating, and bereft of some 21st Century amenities (don’t expect your cell phone to work!). Buffalo sometimes wander into town from nearby Yellowstone. Inside the Park you will be stopped by buffalo, see grizzlies, elk mountain sheep and, perhaps, a wolf. Plan to enjoy the whole area. Hemingway returned to the L-T In 1936, 1938, and 1939. In 1939 he sent Pauline away from Cooke City and then got in his Buick with Martha Gellhorn and drove further west to Sun Valley, Idaho. He gathered material for “The Wine of Wyoming” in Sheridan and for “The Gambler, the Nun, and the Radio” while recovering from an auto accident in the Billings hospital. Death in the Afternoon was completed at the L-T and To Have and Have Not was drafted there. His final story, “A Man of the World” is set in Cooke City. Its wranglers introduced him to big game hunting (bear, elk) in 1932 before his first African safari. Clarks Fork and its tributaries provided world class fly fishing. Check it out. Come, experience and explore. Most papers will be given at the College in very accessible, state-of-the-art classrooms. There will also be paper and plenary sessions in Cooke City, but the experience there will be more hands-on, with opportunities to tour Hemingway sites, fly fish, hike, visit Yellowstone, and enjoy a chuck wagon dinner. Among speakers already booked for this Conference are Craig Johnson (Longmire Series) and Doug Peacock (model for Edward Abbey’s Hayduke). Conversation ongoing with Annie Proulx. We also anticipate an update from Ken Burns’ team on the Hemingway project.